is the 15th actress to portray Belle in the long-running Disney hit. mark the first time that an hourly Cast Member is recognized. Cinderella, and Sleeping Beauty. A philologist, jurist and mythologist, Jacob was 13 months older than his brother. a train carrying a large payroll which attracts the attention of villainous Pete the Bear and his gang. Alice (portrayed by Margie Gay) and Julius find themselves brought into the court of the King Lion. last scenes. They may replace the airplane with a spaceship. The second annual Disney's Pin Celebration begins at Epcot. The Lizzie McGuire episode "Party Over Here" debuts on Disney Channel. Hilary Duff's sister Haylie appears as Cousin Amy. and Premium Annual Passholders at Walt Disney World's Magic Kingdom. Meanwhile over at Epcot, construction begins on Soarin'. Lilo & Stitch: The Series debuts on ABC-TV. the first of three weekends. Ward Kimball's Dixieland jazz band The Firehouse Five Plus Two. and a philanthropist, is born in California. In June 2005 he and his wife Susan bought the NHL's Mighty Ducks of Anaheim (now called the Anaheim Ducks) from the Walt Disney Company for $75 million. 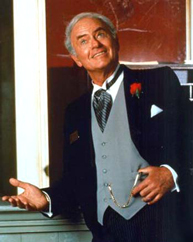 Arranger, composer, and actor Frank De Vol is born in Moundsville, West Virginia. and Pluto are window cleaners on the side of a skyscraper! takes place in Marceline, Missouri. expensive interior hotel scenes have been shot at the Disney-MGM Studios. as actress Justine Bateman and singers Belinda Carlisle and Robert Palmer. Hughes is awarded for Outstanding Directing in a Comedy Series. Mickey and Minnie in colonial attire riding atop an oversized Constitution float, surrounded by a marching band. Gym Standoff" premieres on ABC. September 9 as Central Florida braced for the storm’s impact. Peggy Lee, Christina Aguilera, Sting, Phil Collins, Celine Dion and Robbie Williams performing popular Disney songs.